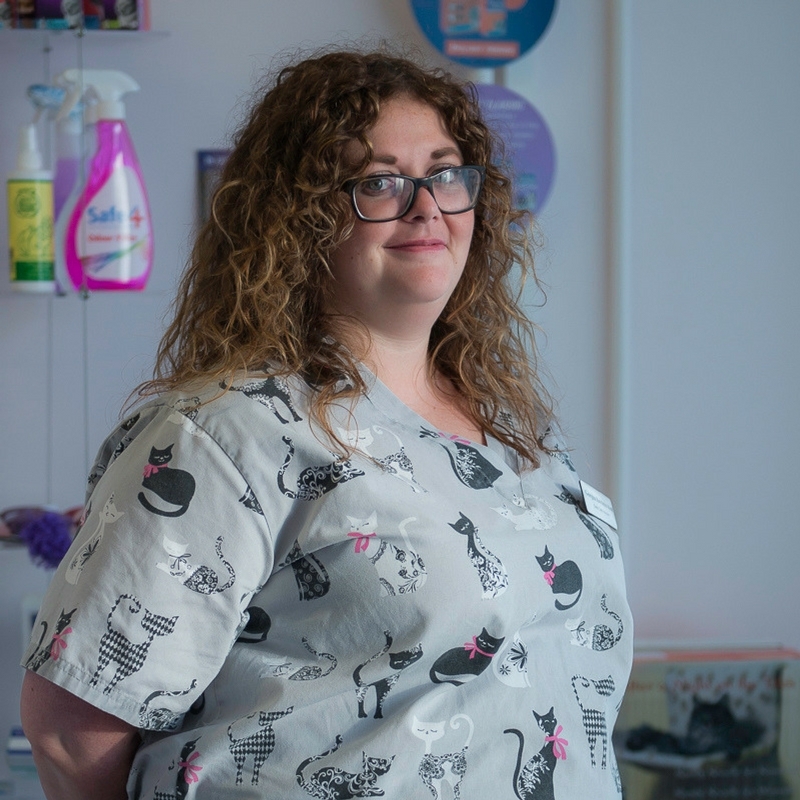 Amanda graduated from the Royal Veterinary College London in 2000 fulfilling a lifelong ambition to become a vet. 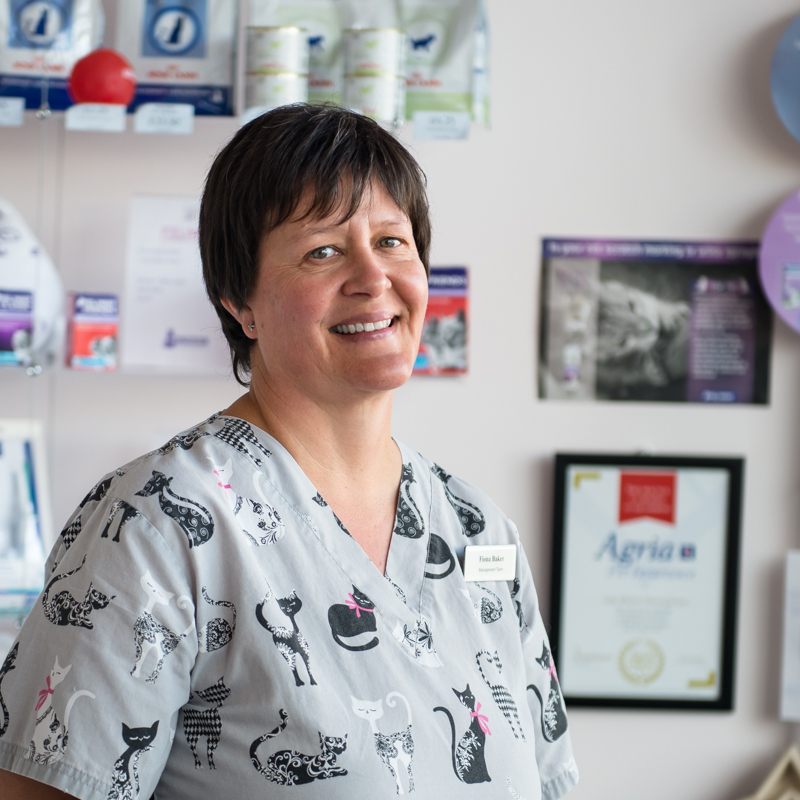 She has many years’ experience as a Veterinary Surgeon working in several companion animal veterinary practices throughout the UK. 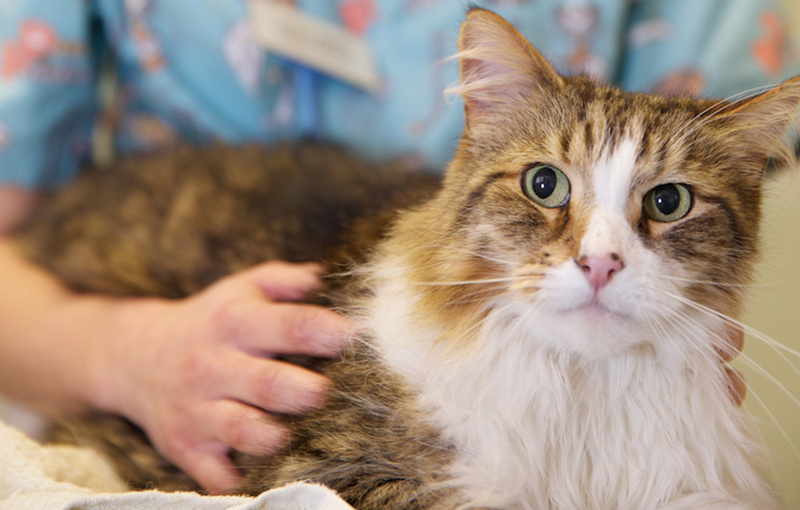 Over this time she developed a compelling interest in feline medicine and surgery, and went on to further her knowledge and complete numerous courses in this area. 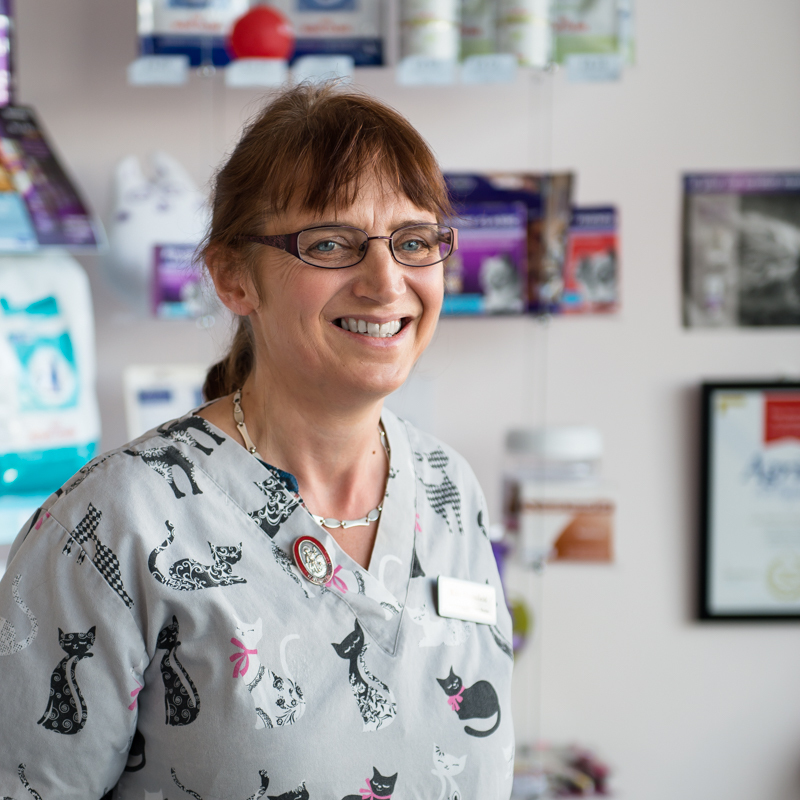 It was this passion for feline medicine that was the driving force behind setting up Cat’s Whiskers, an exclusive practice for cats in Worthing, West Sussex. 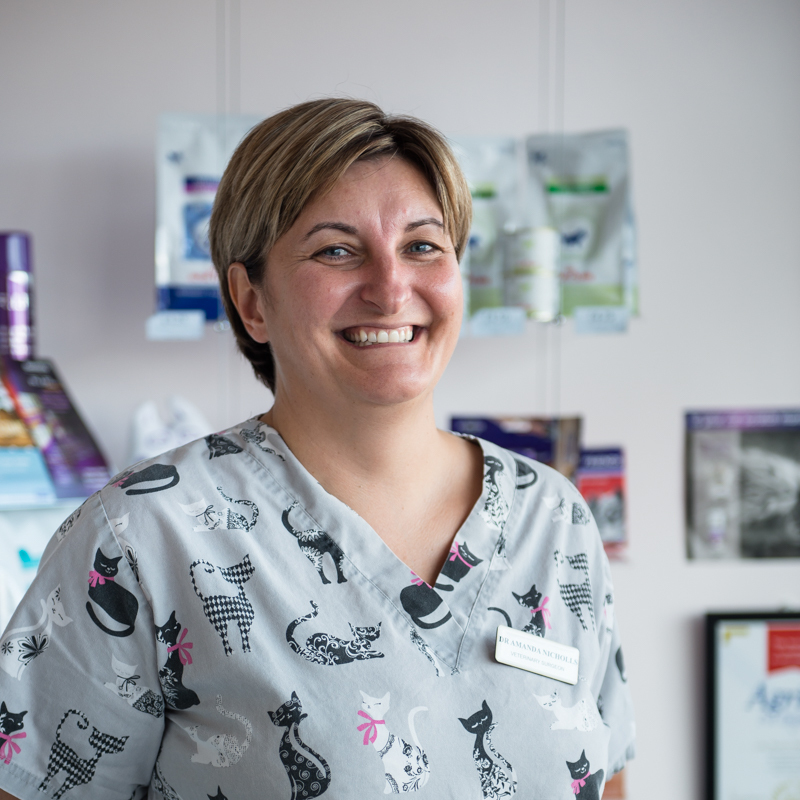 Amanda is now a member of both the International Society of Feline Medicine (a charity dedicated to promoting the health and welfare of cats) and the Worldwide Veterinary Service. When Amanda has free time, she enjoys travelling, cooking and reading. Amanda shares her home with Kitty, a black female cat, Max, a black and white male cat plus golden retriever Bradley. 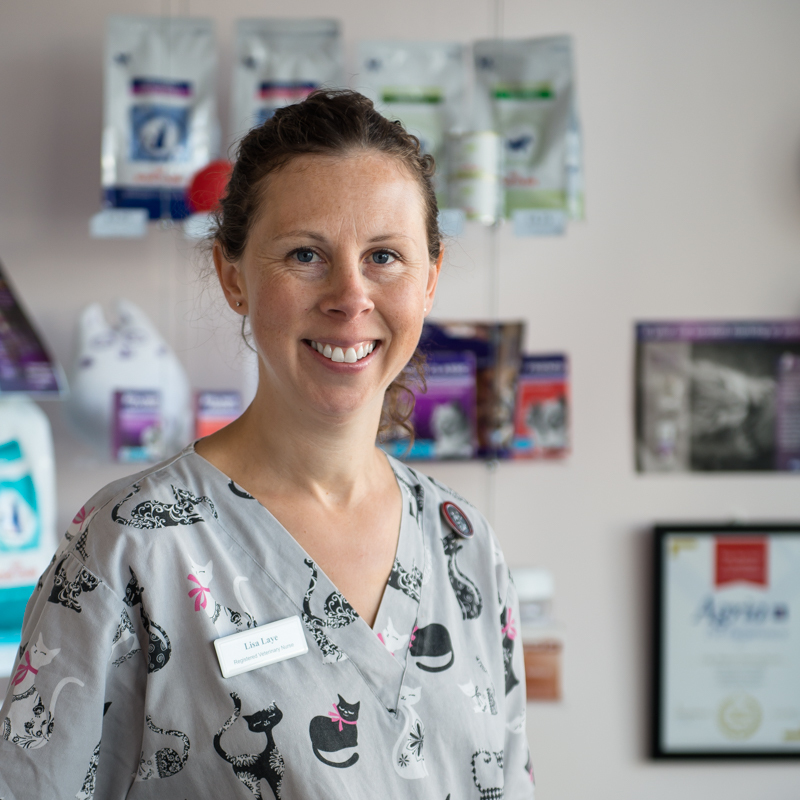 Lisa qualified as a RVN 14 years ago, and has 17 years experience working in the veterinary industry – so we are lucky to have her as part of our team! Lisa loves to spend time with her husband and 3 young boys, and enjoys swimming, reading and going to the cinema in her spare time. Lisa also shares her home with a tortoise called Chompy! Kate qualified in 1988 so she brings a wealth of experience to our team. 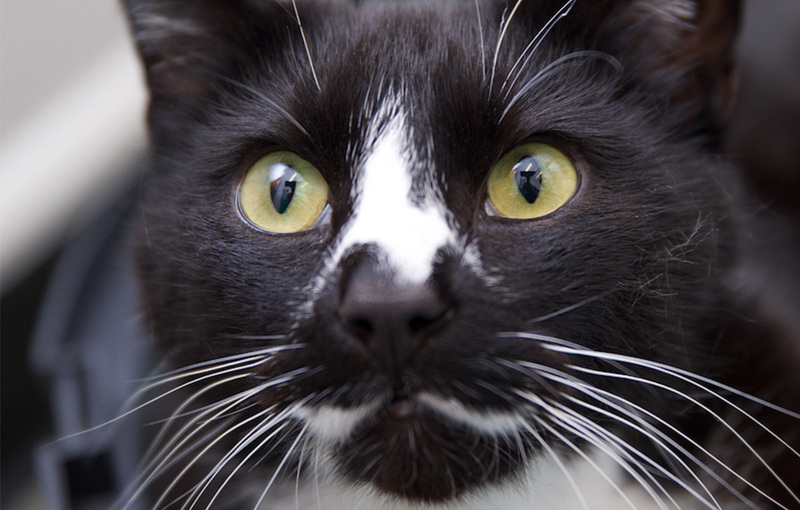 Kate also runs her own cattery meaning she has a lot of experience with caring for cats. In her spare time Kate is part of a flyball team and enjoys reading and swimming. Kate has three cats of her own; Saffron, Luigi, and Martha and a dog Meg who is a cocker spaniel. 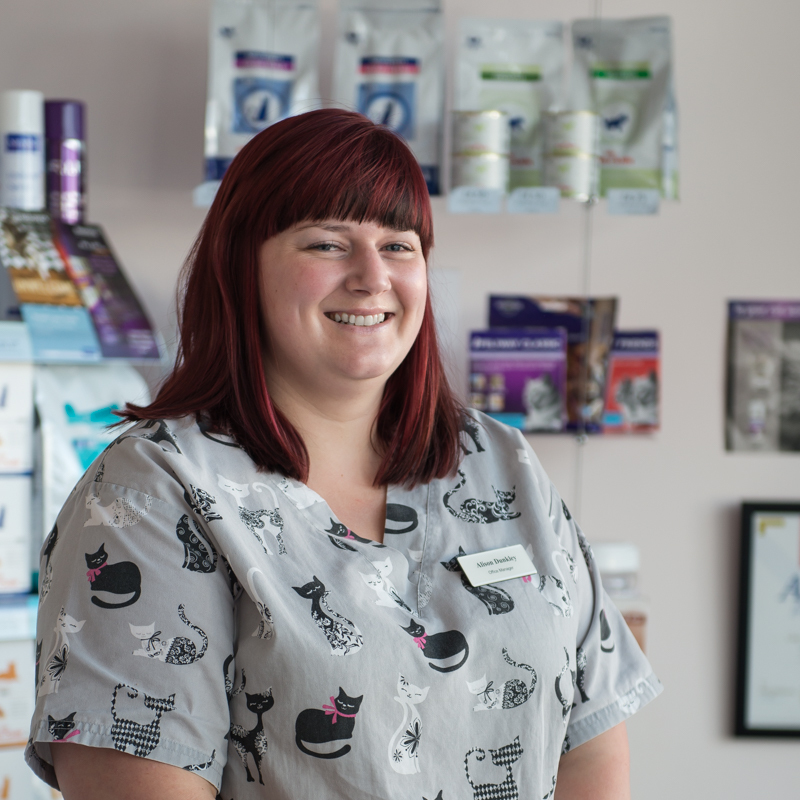 Alison has 10+ years experience in customer services, managing teams primarily in the financial sector and is now really excited to be working in the veterinary industry. She enjoys watching football and is a lifelong Portsmouth supporter…to unwind, she loves listening to music. 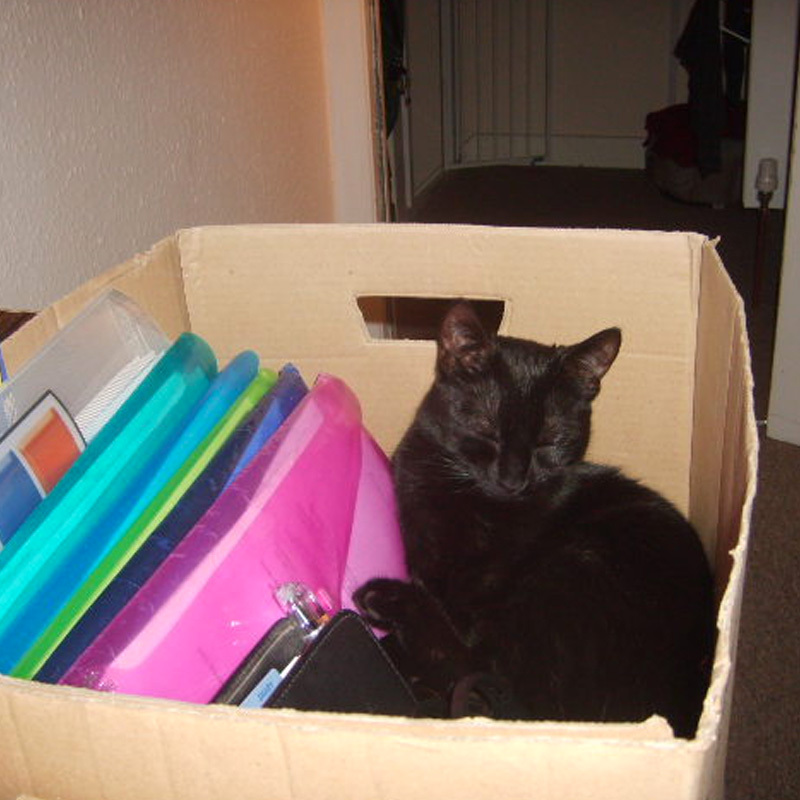 Alison is a cat lover herself and has a long-haired black cat called Eddard at home to keep her busy! Fiona has many years experience in the telecoms sector within project management. Fiona enjoys working in the veterinary industry in her spare time and assists us at events and open days, amongst many other tasks. When she isn’t working, Fiona enjoys live music and travelling. Of course, Fiona is a cat lover and is pet parent to Amanda’s cat Max! George has 17 years experience in customer service, both face to face and over the phone, and will be your main contact when arranging appointments, visiting the clinic, and purchasing goods. George has two cats of her own, Marley and Fia. In her spare time George enjoys spending time with her family and as socialising with friends. George also loves going on holiday! 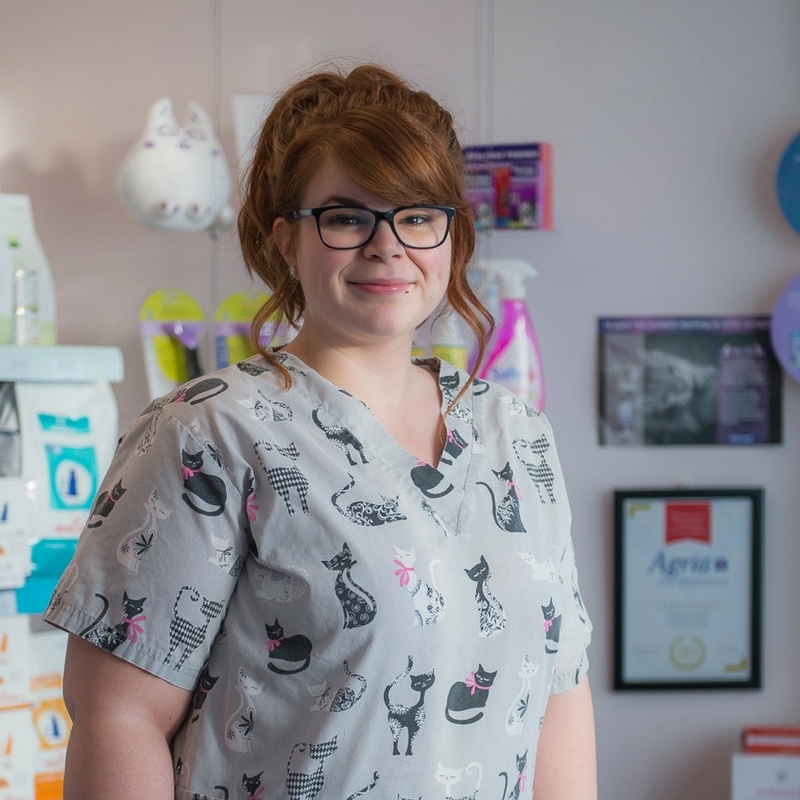 Jess has developed herself into our new Nursing Assistant since joiningg the team as a cleaner in December 2017, and after completing her Animal Managment course in June 2018. 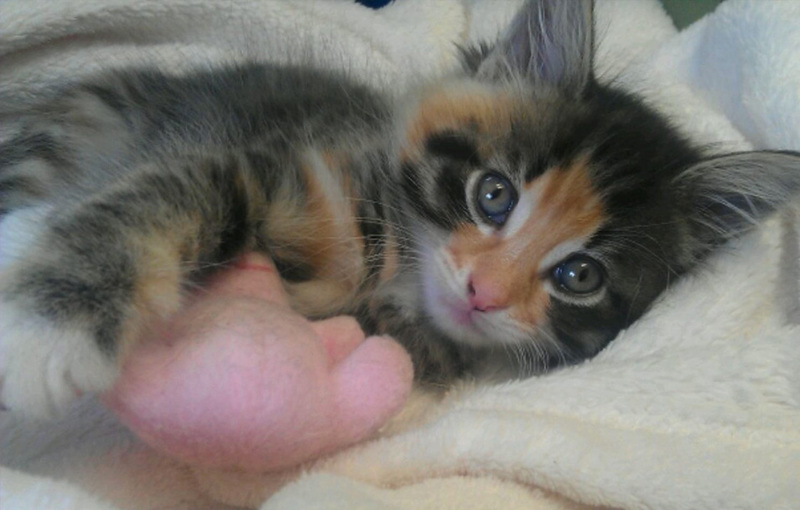 Jess has recently adopted a cat called Winnie through Worthing Cat Welfare Trust and is enjoying being a cat mum! Jess also has a dog called Jude and in her spare time loves to spend time with her friends! Kitty loves all aspects of office work, particularly receiving and sorting faxes (onto a heap on the floor). Being a young cat, she is prone to moments of excitement, followed by cat naps on the job (as pictured above).